We need to be careful in life, when a business destroys a family, and the pursuit of happiness, it is time to move on, and reinvent our life, we travel. I love Lake Atitlan in Guatemala, the climate is perfect, there is this big lake, and tons of strange dysfunctional hippie types, that allow my mind to wander. Daily I get to wonder why they are so crazy? Why they dress the way they do, there is a great adventure in learning about human motivations, it is the ultimate adventure, into the mind of man. So here, I am, Andy Lee Graham, a Travel Blogger, one of the few, maybe 1 in a Million, that actually makes enough money to live, anywhere, and everywhere on the planet. And because love of something is like an addiction, I have returned to Lake Atitlan over the course of 18 years, about 7-8 times, I really do not know, or care how many times? Why? Because I wander the planet, one of the few that again, has enough money to go where I want, whenever I want, and no restraint. I designed a business model that does not need to be location dependent, I am location independent, this in simple terms means, I earn money wherever I am located, I can say anything I want, and I can write anything I want. I may be one of the few nomads, one the few people who is really free on the planet. I must only keep the evil empire the big G happy, and not oogle too much about how traffic comes to my site. We presently have 22,000 members on HoboTraveler.com, and when it reaches 100,000 we figure, complete freedom. I went into business the first time at age 22, and since then, have owned, managed, and ran 7 different business ventures. Each time the business model evolved, until it number SEVEN; this Internet web site gave me the dream, my pursuit of business happiness. My life is good, it is the life I designed, I am 100 percent responsible for the success or problems in my life, I am the architect of my happiness. There is no such thing, and a perfect world, perfect business, and I have accidentally destroyed my Travel Happiness…. Let put it this way, if I had a million dollars, I would still write, and I would still travel, I love doing both, it is an obsession of love. I love Travel more than money, the opportunity to meet new people, new places, and new experiences is the fountain of youth, I will never die of old age, or inactivity, my mind is full to the brim with ideas, and adventure. Yet, accidents will happen in business, we destroy products, we destroy clients, and a good business person go own, does not stop, and repairs damage. I have made so many videos of Lake Atitlan that every hippie dippie on the lake, my reason for coming to Lake Atitlan is no longer enjoying. I truly enjoy people watching, Lake Atitlan is like going to the local mall, and everyone is from another planet. 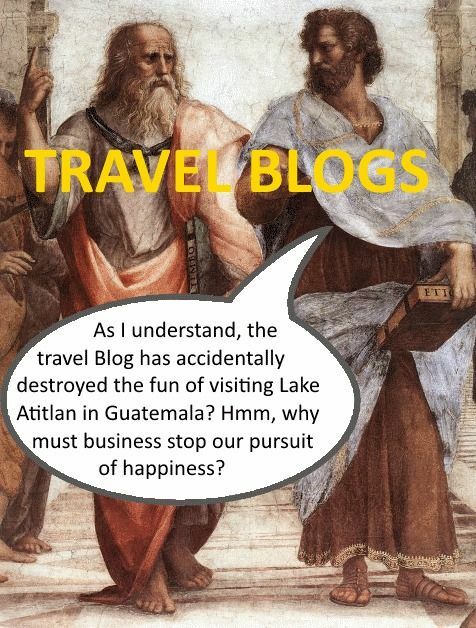 We must laugh at ourselves, this may, and should be my last 1-2 month visit to Lake Atitlan, dysfunction junction is no longer possible, my Travel Blog videos has allowed 100’s of people to come visit this lake, and enjoy time in paradise. It is no longer paradise for the messenger, but again, I have made a great business model, and there are millions of paradise locations on the planet. Life is where we live, and we are obliged, in the pursuit of happiness to make that location into a paradise, and when it is not, we migrate, we travel, we move on. Life is good, and sometimes it is better, but work should be wrapped around paradise, it should be the warm blanket that keeps where we live a happy location. Andy Lee Graham in Panajachel, Guatemala on Lake Atitlan. Adios Lake Atitlan, I hope to never see you again, my Travel Blog has destroyed the reason to come to Lake Atitlan, and I thank you Lake Atitlan for being fun. Tourism often destroys paradise, when too many people discover a location; the savvy travelers know just over the hill could be paradise found. I will continue to share the map, please understand, Lake Atitlan is still a paradise climate, and is a good fun, it is my business that destroyed it for me. Follow along, in my pursuit of other paradises locations on this small planet we call Earth, and where I live, will always be my personal paradise. PLEASE NOTE: I love to write, I hate to edit, and proofread, so I do very little, it is the pursuit of happiness.